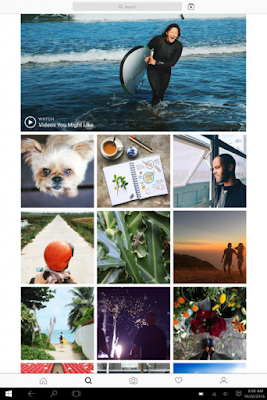 Following the launch of its app on Windows Mobile in April, Instagram has finally brought its visual social network to Windows desktops as a standalone app. Available from the Windows Store, the full-fledged app lets you browse your feed, view Stories, as well as check and send direct messages. It also offers search, the Explore tab, and access to your profile, liked posts and settings. And unlike the Web app, it also offers sharing options for Facebook and Messenger from the context menu. It also lets you post photos – but only if you have a tablet or PC that has a touchscreen as well as backward-facing camera. That excludes the majority of desktops and laptops, and it’s a bummer for people and brands who’d prefer to edit and upload pictures from their desktop image libraries.